The irony of existence. Lower is higher - than high. The EXTRA value in struggle & darkness. Why is there a shell that grows before the fruit forms? Why is there darkness before light? “And there was darkness and there was light…”. Why did there need to be a Pharaoh, and the Israelites needed to be in a difficult exile, and only afterwards they were liberated? Kabbalah explains, when G-d made the world it happened in a two tier process. Everything is made male and female. G-d designed lights of energy to be contained and function through their vessels. The problem is that the vessels weren’t big enough to contain the intense energy and the vessels busted with the intense light inside, falling very very low, and very very far from G-dly awareness. Basically Kabbalah explains, the lower we see something in this world, the higher the source it emanates from. The only reason it was possible to travel so far and become the G-d forsaken and forbidden existence it turns into, is because of the very powerful light inside, that propelled the vessel, to that extremely lowly existence. When the Israelites were in the G-dly depraved Egypt, they had a purpose for being exiled there, it was to liberate those sparks that fell so low. They did that by following the command of Moses and their ancestors as transmitted by G-d. Instead of a difficult place, presenting itself as an insurmountable hardship, it turned into a stepping stone of great opportunity only because they fulfilled this mission. Every person came out of Egypt with no less than 90 donkeys laden with great possessions. The process of Egypt allowed them to eat the Manna from heaven and receive the Ten Commandments from G-d.
Pharaoh who was the King and the epitome of all the evil and darkness, from the same source as the Egypt he led, when the time came and there were no more sparks left to redeem, forced all the Israelites to leave Egypt. Although there were many who wanted to remain behind, now that the struggle was over, so they could serve G-d in peace and tranquility, Pharaoh wouldn’t allow it. Pharaoh subconsciously understood, the purpose and goal was reached. It was time for everyone to move on. This same concept, of the darkness itself being a tool for positive because of the much higher source from which it emanates, explains the incident when the Israelites reached a pool of water and complained to G-d the water was bitter. G-d commanded they take the branch of a very bitter tree and place it in the water, and the water became sweet! Two wrongs don’t make a right, but in many areas, two negatives make a positive. The combination of so much negativity sometimes brings out the source of this harshness, which is much higher than a regular positive, and therefore the branch of a bitter tree in a bitter body of water all of a sudden started to taste sweet. The darkness that comes before light, because it is first in its source is really a greater and stronger hidden good than the light that follows. 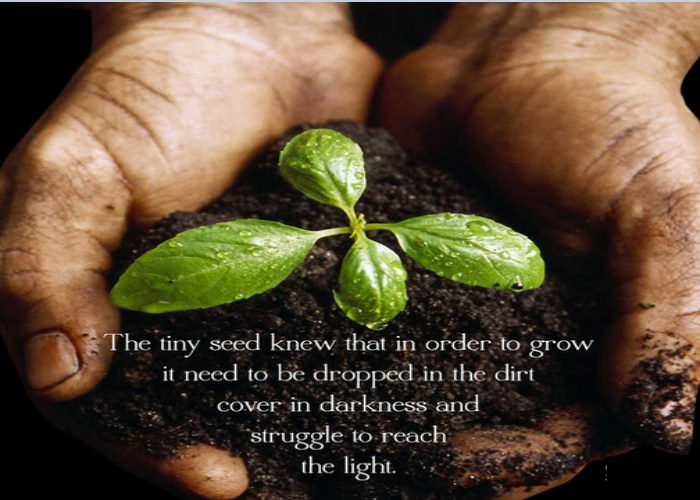 Not only does one appreciate the light after the experience of darkness and after a bad storm, even more so, the darkness is an exercise in itself of developing strength and sensitivity that could only come through the struggles and travails of darkness. The shell comes first, because the resistance and toughness comes from a source much higher and stronger even than the fruit itself. Because it is there first, the fruit can grow protected by the shell cover. The nature of the world as G-d created it, is that the seed must first rot in the ground and break its ego, it must humble itself in the darkness of the ground and that process prepares it to receive the blessings of the ground so it can bloom into this beautiful tree. What appears as harshness and low has the hidden seeds and potential to bring a person to higher than if he/she wasn’t presented with this scenario. Your degree of Trust and Faith, show in the results. We read in the Bible, when the Israelites where in the desert and had no food, G-d made it rain a kind of Angelic sustenance for everyone (Manna), that tasted like anything they could imagine. It was called “bread”, “biscuits”, and the description, “they ground it” was linked with this food. The Talmud explains: For the righteous it was bread, for the intermediates it was only like biscuits, and for the wicked, it required grinding. And/or alternatively; For the righteous it fell at their doorsteps, for the intermediates, they needed to go out and fetch it, and for the wicked even more effort was necessary, they had to grind it. The people were commanded not to take more than what they needed to feed themselves for the day (or it would become rotten), and not to gather on the day of Sabbath. Friday would offer a double portion and provide for the needs of Sabbath. 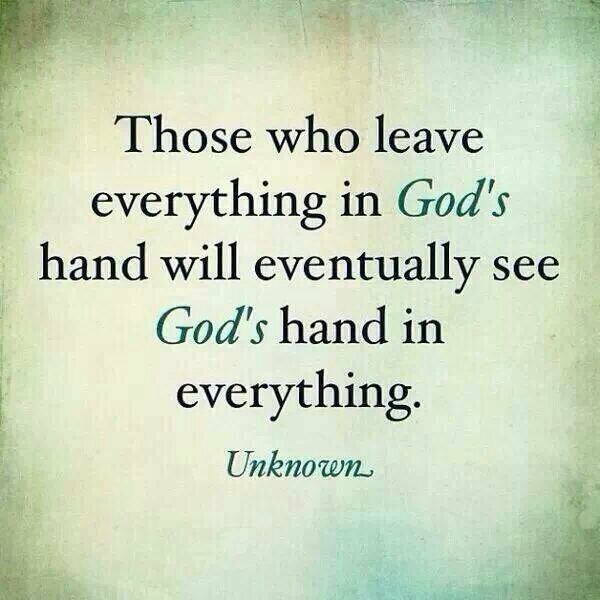 The manna was a test in faith, and the results from heaven to each one’s household, were a direct consequence of the degree in faith and trust, each one actually experienced and demonstrated. The Holy Baal Shem Tov (1698 – 1760) would make sure every day, down to the last penny, everything would be given away, for the bills at hand and charity. Tomorrow; G-d would provide. Rabbi Zushe of Hanipol (1718 – 1800) had a custom every day after morning prayers to look out the window and thank G-d in complete faith and trust for the provisions he would provide for the day, and his assistant would use that as a cue to bring breakfast. The day set aside for the grand “test” came. On that same day, earlier in the morning, someone new to town decided to play a prank on an old man walking to synagogue, and made him fall in the muddy water. When this fellow was told who he had so maliciously disgraced, none other than the pious Tzadik Rabbi Zushe, he didn’t know how to atone for himself. He approached the innkeeper where he was staying and shared with him this most embarrassing story. “Don’t worry” said the innkeeper. Rabbi Zushe is so humble and pious he will certainly forgive you if you only ask. Go to the market and purchase a basket of fruit and present it to Rabbi Zushe as a gift, when he finishes his prayers usually late in the day, and he will certainly forgive you. Just at the moment that Rabbi Zushe completed his morning routine, and the assistant was waiting to see the results of his test, in walks the tourist!!! 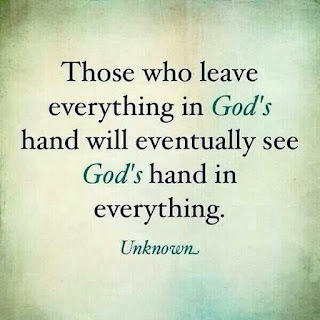 This tremendously powerful and deep connection with G-d, can only be experienced when a person sees absolutely no solution in the ways of nature and he still believes, leans and depends on the infinite powers and possibilities of G-d. When a person has his/her hope in even nothing more than a toothpick, his connection and faith is incomplete. 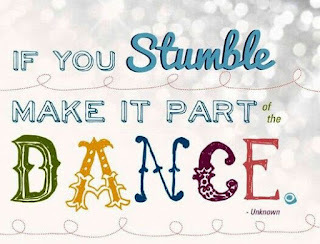 If you stumble, and you will, learn to make it part of the fun. So, you tried your honest and sincerest best, and you still didn’t succeed! One, of the significant teachings presented by Chassidus, is that a person doesn’t always need to succeed to be a winner. Chassidus directs and educates a person to see life by a more spiritual and sublime measurement, and the results in life are not always supposed to be the way “I” need it to be, or how I believe and/or want it to be. A Chasid who studies the teachings of Chassidus, introduced by Rabbi Israel Baal Shem Tov 1698 – 1760, learns to accept everything in life with love, including adversities. “A Chasid, is never lacking success”, because he/she learns to consider the world around them by a different standard than merely their own. The teachings of Chassidus, trains the individual to hear the music and positive melody in ALL circumstances. It’s just a matter of putting on the proper colored lens over the eyes of our minds. “It is not upon you to bring everything to its conclusion, and you are not free to desist from putting in an effort to make it work.” We do our best, and really that’s all that’s expected. G-d in His infinite wisdom brings things to their conclusion as He knows is best for us and everyone around us. One of the most suffered psychological conditions these days is anxiety. Too much anxiety, leads to stress and medical conditions of the heart and of the mind, not to speak of depression etc. We are so pressured not to be a looser amongst our peers, many will compromise their ethics, morals, religion, family life, and much more. People come home all stressed out and lash out at their spouse, children, and undermine a most important component to a well-rounded, happy, meaningful, fulfilled, life. They will ask themselves. I did everything right, why didn’t I win the gold medal of my class, or the silver medal in my circle of friends, or even the copper medal amongst my peers? They will be back for more self-help motivation, since they were told success is a goal within reach of everyone. Only to go around the cycle again and again until exhaustion sets in. What about those who didn’t make proper choices and created the undesirable consequences. How does Chassidus view these people at the moment of what appears to be genuine failure. Since, after the fact, as we see it, EVERYTHING is for the good, now that one realizes his/her mistake and sincerely intends to mend their ways, then, through the G-dly act of Teshuvah, returning back to the proper way of thinking and behaving, the correct path, through THIS connection with G-d, the person can retroactively accomplish what is otherwise impossible, and draw from the current situation, what appears as a negative, the blessing and good, implanted in “this too is for the good.”. “The goal of Chassidus is, actual, genuine, and concrete, self-work. Whoever thinks, the teachings of Rabbi Israel Baal Shem Tov and his students is only all about intellectual pursuits, is making a grave error. It is a pity on him, on his body and on his soul.” Rabbi Yoseph Yitzchok Schneerson. We can never desist in putting in a genuine effort. 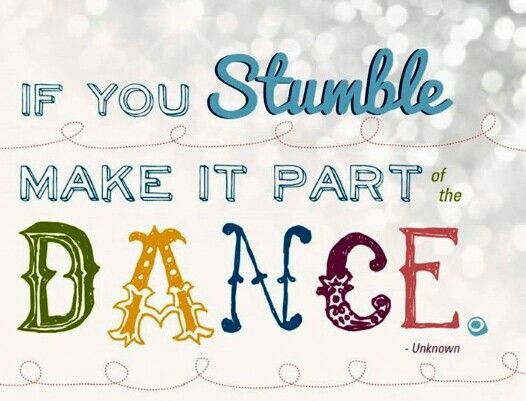 Every time we try, and we try again, we are refining, and strengthening ourselves, further and further. Every time one starts all over again in full trust that G-d will come through for them, they are closer and closer to reaching their goal with the help of G-d. 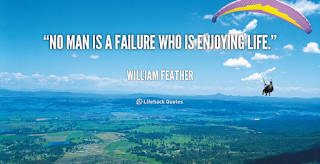 The fun, is in having taken the journey, and enjoying all the wonderful surprises along the ride. 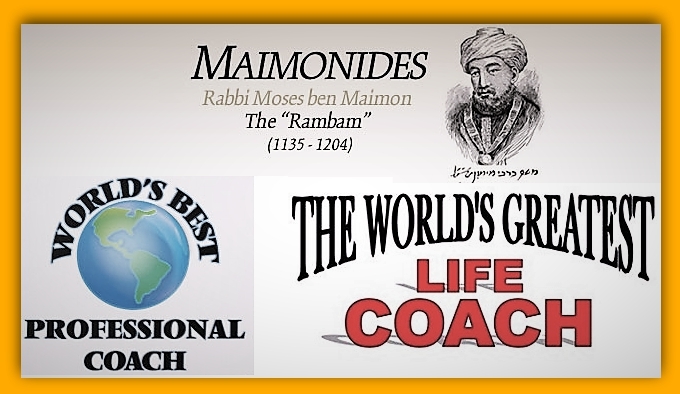 Rabbi Moshe Ben Maimon, the Rambam or as he is known -Maimonides, was an incredible giant not only in his time but also for all generations. He wrote over twenty books on medicine alone and was a recognized scientist and scholar by people of all faiths. Because the Rambam was considered as influenced by Aristotle and Greek philosophy, the Rambam is considered a rationalist, sometimes to the point of being against anything not logical. Nothing could be further from the truth, and the following is one example from the actual words of his encyclopedia of Bible laws, Mishneh Torah. On the Sabbath it is forbidden to carry anything from a public domain to a private domain or vice versa, unless it is a garment or jewelry. Rabbi Shnuer Zalman states, that a human being has angels and spiritual forces that will assist his recovery, and an animal lacks these, therefore an amulet that has proven successful for a human being may not be successful in the case of an animal and consequently, the amulet used by a human need not be as powerful. These laws with their explanations, and the spokespeople for these rules, speak volumes. 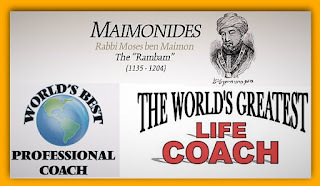 The Rambam accepted the truth, that through the forces and energies of the Hebrew letters, gathered by the mystics, inside an amulet, people and animals could be actually affected and influenced for the good. While the Rambam emphasized the importance of using one’s mind to its fullest capacity, he understood well, the power and truth in what can be experienced with faith. And now again to the actual words of the Rambam. ..........It is a clear and an apparent matter that the concepts of purity and impurity are Scriptural decrees and they are not matters determined by a person's understanding, and they are included in the category of chukim. (Laws which are beyond logic) Similarly, immersion in a Mikvah (a ritual pool) to ascend from impurity is included in the category of chukim, because impurity is not mud or filth that can be washed away with water. Instead, the immersion is a Scriptural decree and requires the focusing the intent of one's heart. Do not give illegal…unhealthy… bad advice even to a bad person………………. ……..it is forbidden to sell to a robber, for by doing so one reinforces a transgressor and causes him to sin. Similarly, anyone who causes a person who is blind with regard to a certain matter to stumble and gives him improper advice, or who reinforces a transgressor - who is spiritually blind, for he does not see the path of truth, because of the desires of his heart - transgresses a negative commandment, as Leviticus 19:14 states: "Do not place an obstacle in front of a blind man." When a person comes to ask advice from you, give him proper counsel. ………. He must never return to a position of honor in the community.